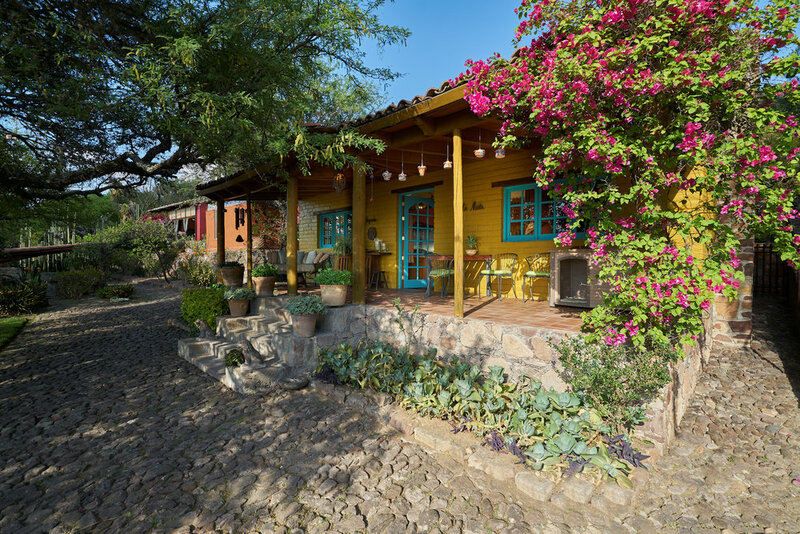 Imagine staying in a fabled country lodge that you have all to yourself, adorned with Mexican Antiques, a gourmet kitchen, a cozy living space, full bath and King bed.. You can sit and contemplate life on the sweeping terrace that overlooks the valley. This spot is just for you!! 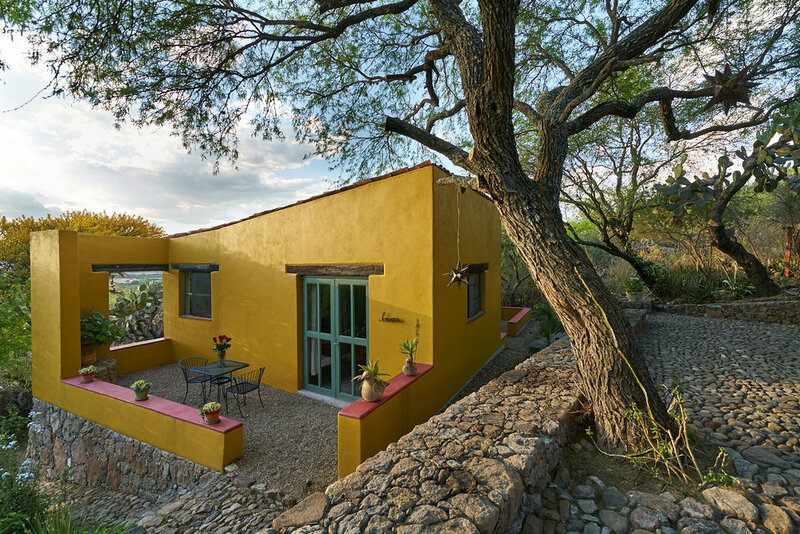 Casa Grande is perfect casa for a large family or group of friends! 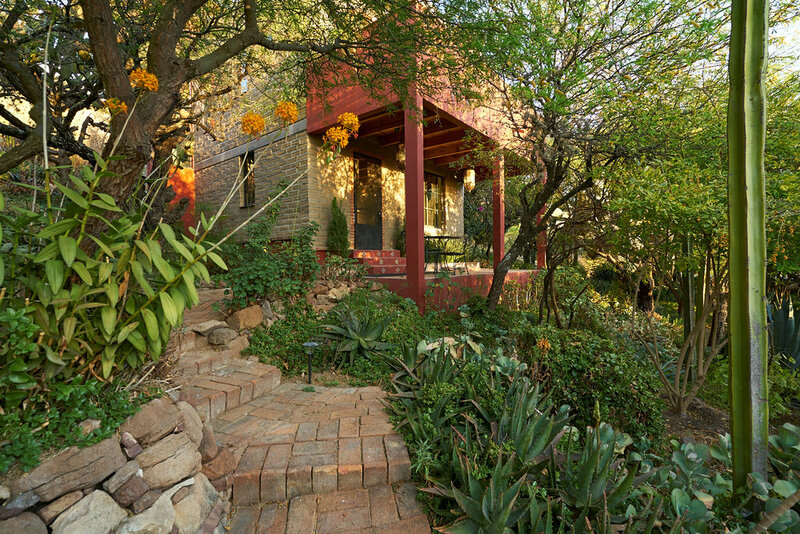 With breathtaking views of the valley, mountain and gardens. Full Kitchen 1.5 bath, outdoor shower, 3 bedrooms with 2 queen and 1 king bed. 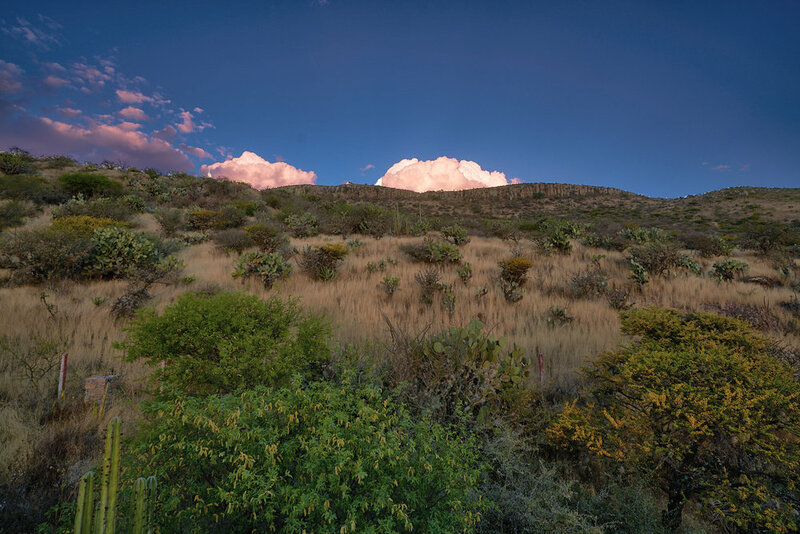 A walk through a dramatic cacti forest leads you to Villa Sonoma. 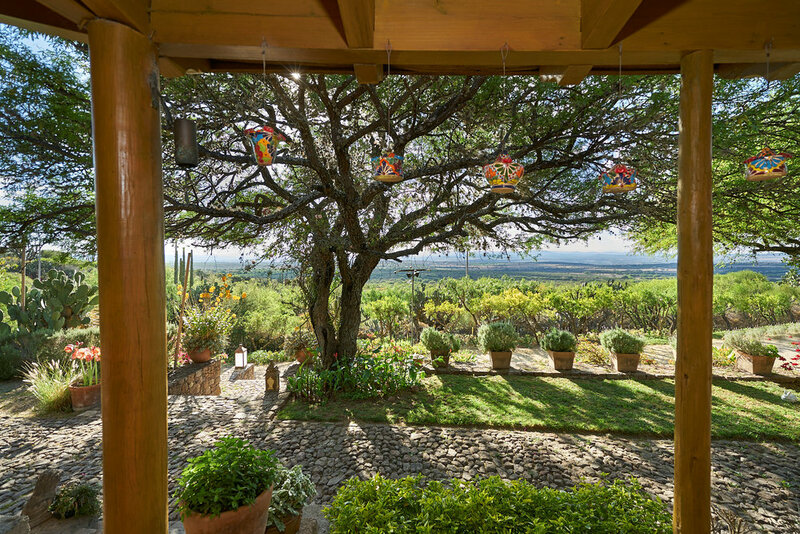 A sunny and meditative sitting area frames the Rio Laja valley below. A canopy queen bed and sofa create a luxurious place to retreat. 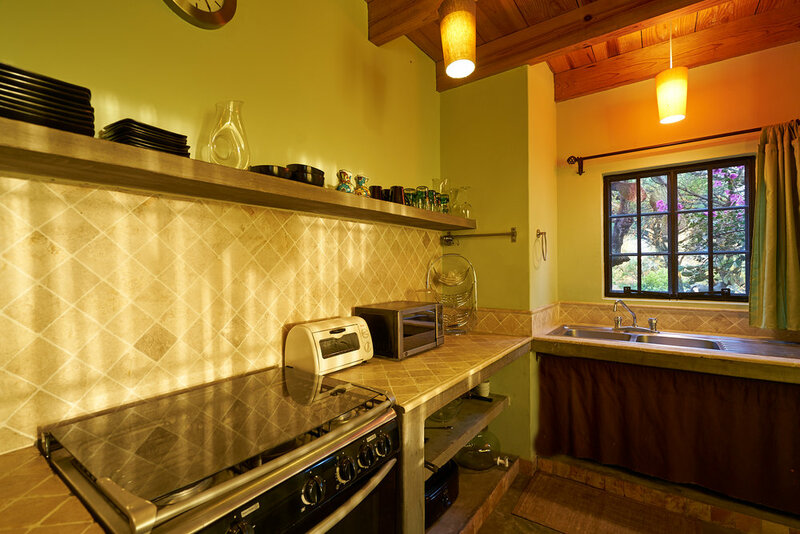 The room features high wooden ceilings and an oversized spa-shower with therapeutic river stones. 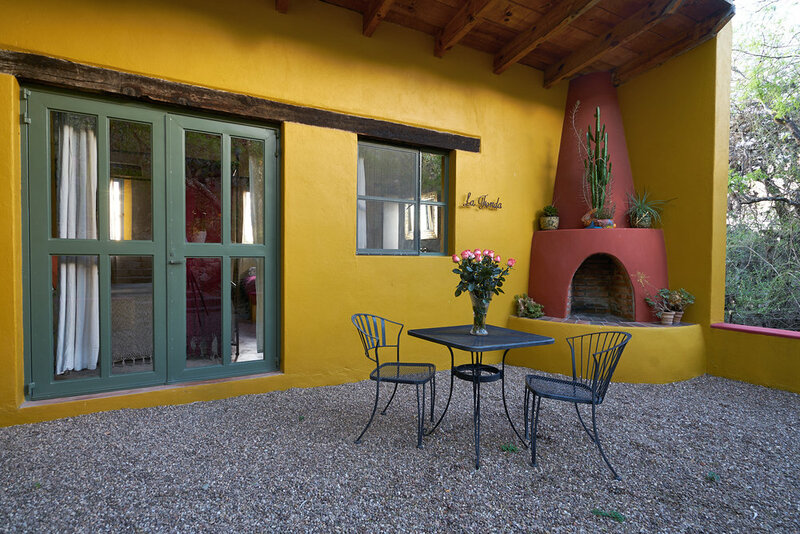 Villa La Fonda is tucked into a secluded and completely private corner of Sagrada. 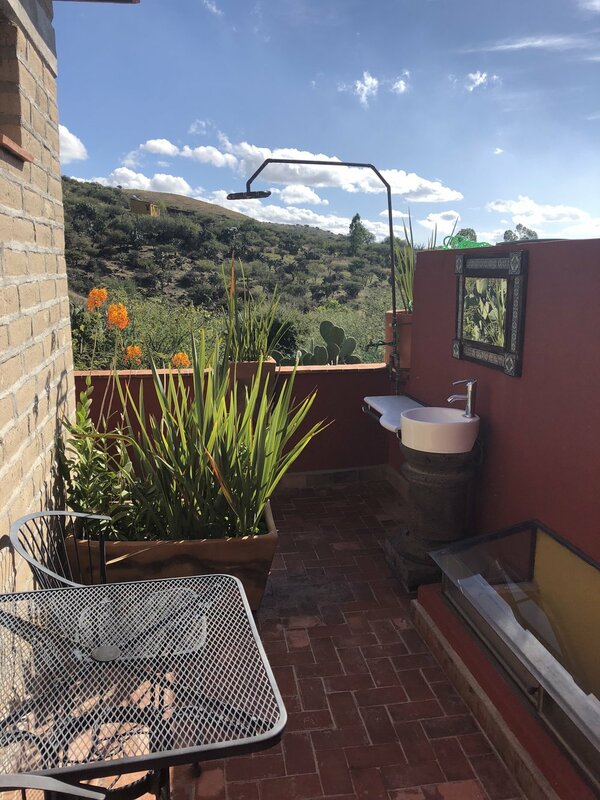 Pass the historic stone homes that make up Sagrada’s spa facilities, and along our grand cobblestone terraces to your outdoor patio and fireplace. 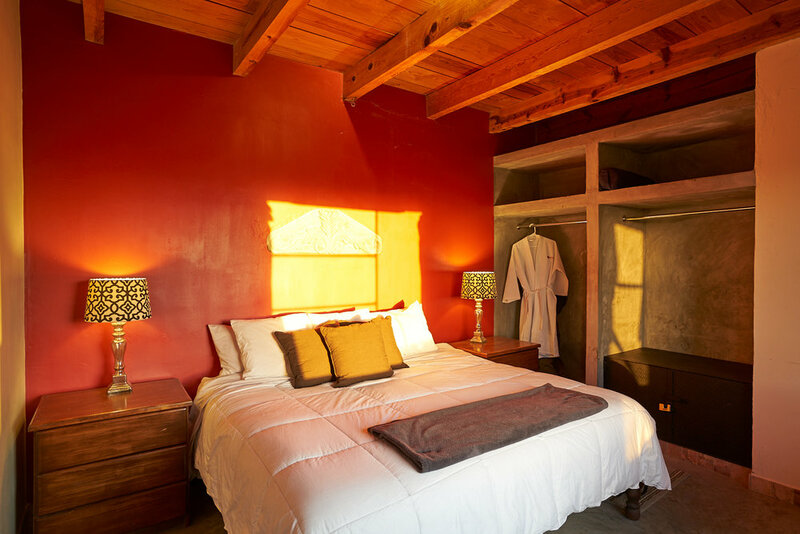 Inside it is cozy and serene, and features an oversized spa-shower with therapeutic river stones and luxurious queen bed. NOTE This accommodation has a separate bathroom and shower house.